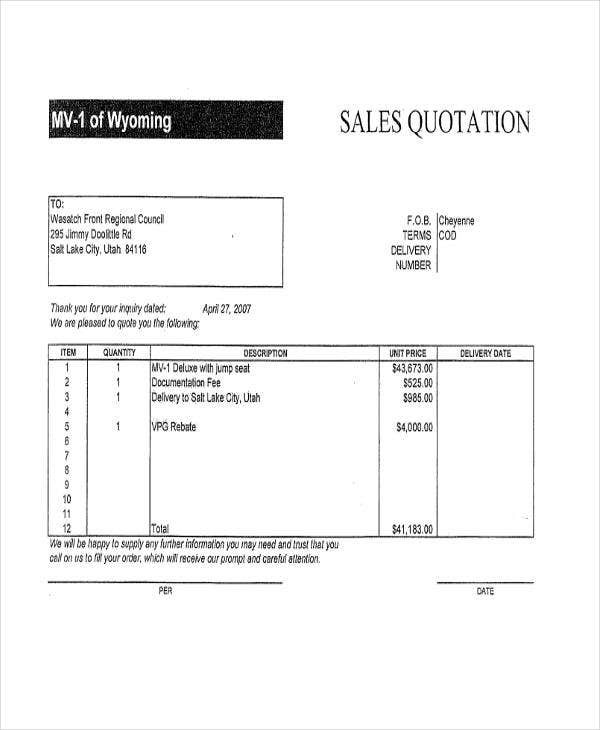 The dynamics and structure of your sales quote must be included in your overall sales plan. As we all know, selling and promoting goods and services is not just a matter of giving low price rates but also establishing sound relationships with your customers. What is material is that you are giving quality products coupled with an excellent customer interaction and service. Preparing a sales quote is not that easy. 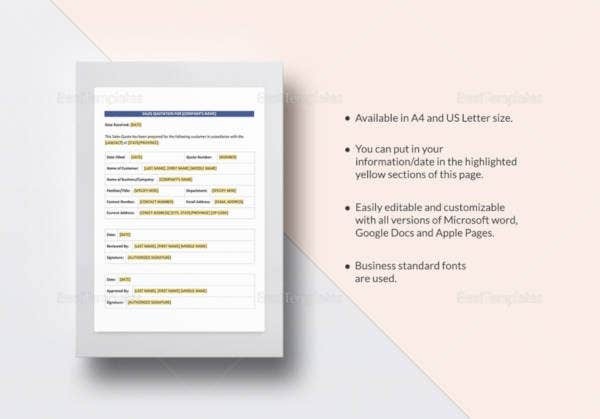 With that, quote templates provide how the different elements of a quote are positioned in order to create a comprehensive commercial document. 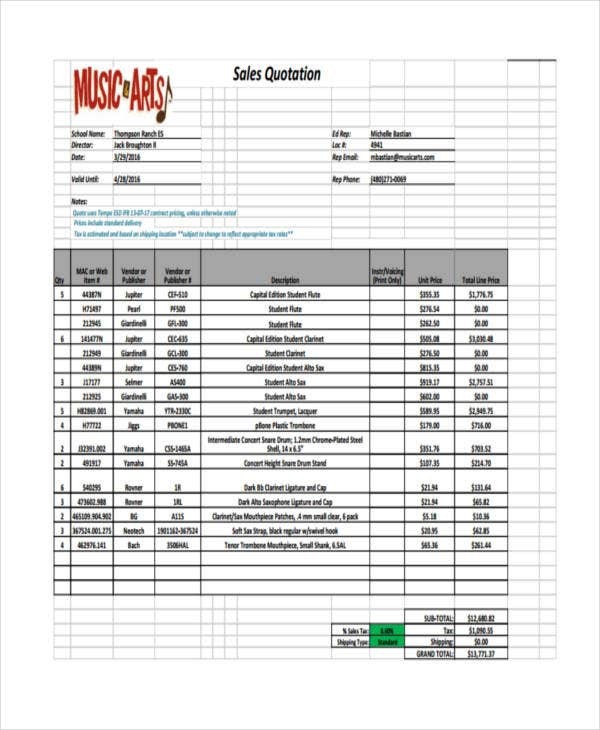 Check out the templates to help you kick-start your sales quote production. 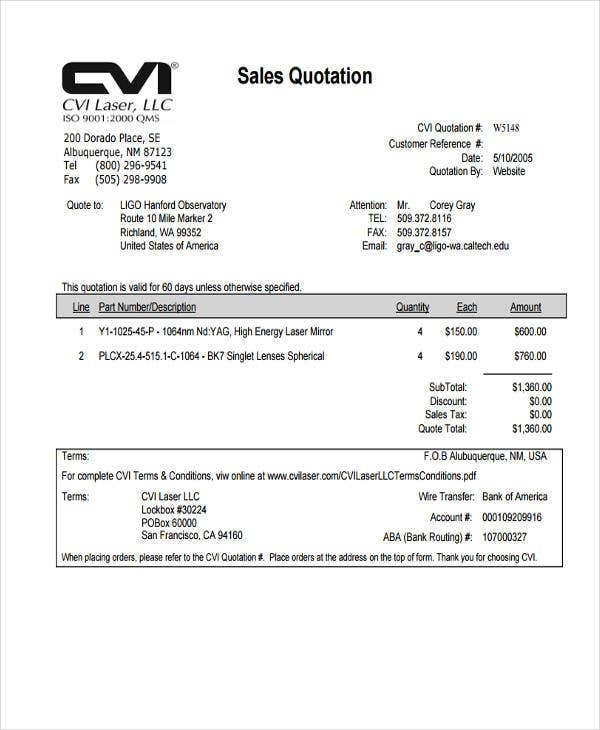 What to Include in Your Sales Quote? Company Details – You have to provide your legal company name, address, business identifiers, and other reference numbers to prove that you’ve complied with the licensing requirements. 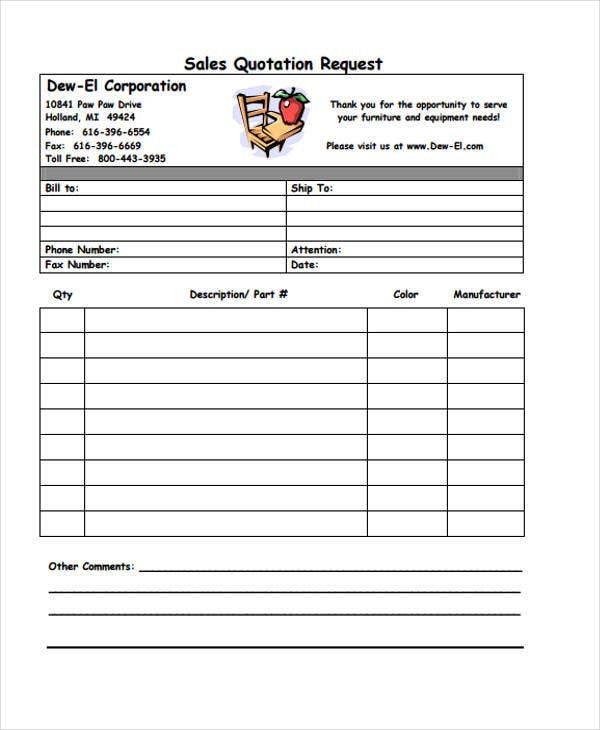 Depending on the type of quotation template you’re referring to, the basic information of the company must be emphasized. Breakdown of Prices – You need to provide an itemized and detailed breakdown of the goods that the purchaser plans to buy. 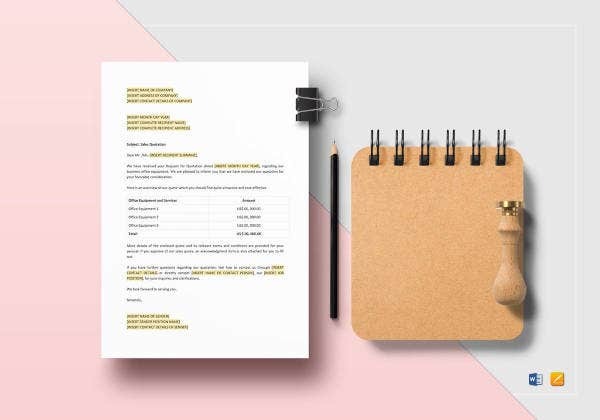 By using a quote sheet template, it would be easy for you to customize a pre-formatted outline. It’s better than creating a matrix from scratch. Summary of the Costs – After providing the total costs of the goods, you may also include pertinent reminders as to what is included or excluded such as in the case of shipment and delivery fees. Validity Period for the Quote – Every quote has an expiry date. Ensure to emphasized when the sales quote will expire. Payment Terms and Conditions – In here, you can either give the customer payment options or indicate your preferred payment option. Do include the mode of payment required. 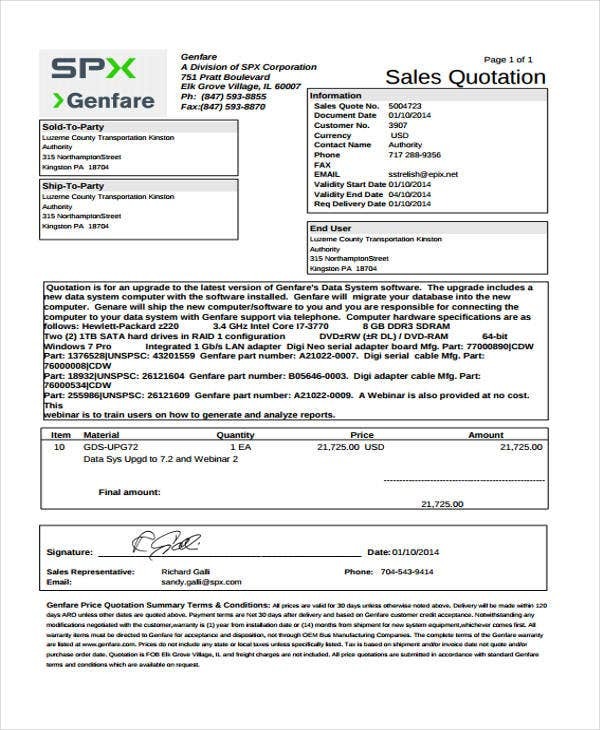 Acceptance Statement and Signature – And lastly, include a customer acceptance statement which requires the customer’s signature should the customer approve the sales quote. In the world of business, quote productions is a critical process. From the planning, actual writing, and presentation of the quote, everything must be in place. Here are some tips that you may consider. Aim to produce a professional quote. A poorly-written quote is very unprofessional. 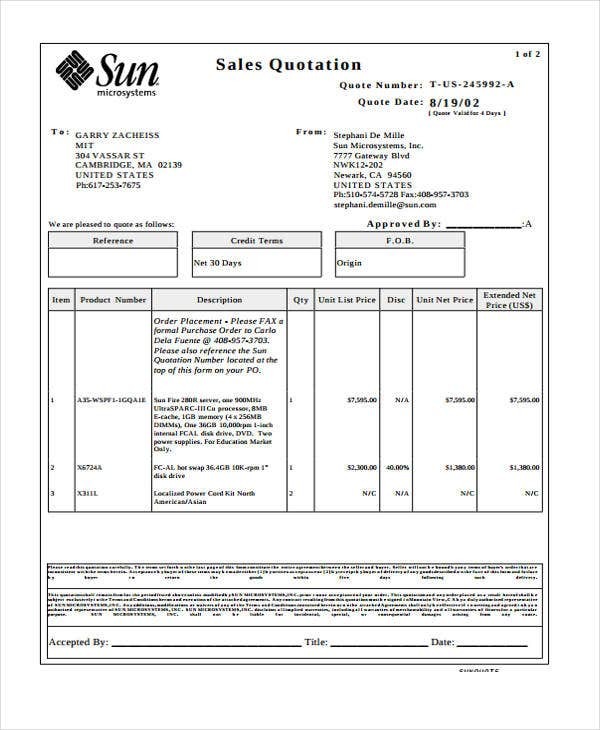 Regardless of the nature of the quote may it be a price quotation template or any other type of quotation, writing of the quote must form part of your company standards and protocols. Stick to your promises and guarantees. All the promises and marketing spills that you convey to your customer especially those indicated in the quote must be realized. Bear in mind that a happy and satisfied customer is a cost-effective manifestation of a marketing approach. Quote the products carefully. 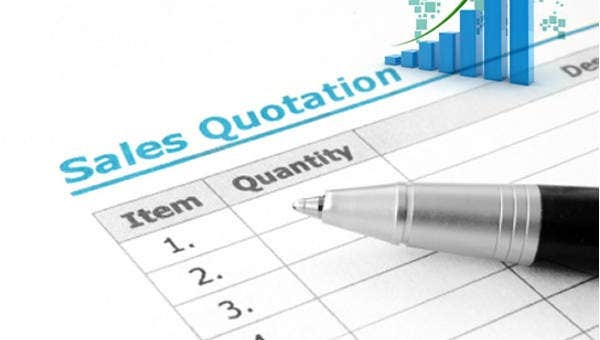 Exert due diligence in quoting your products by checking the quantities carefully, ensuring that the delivery arrangements are in place, and considering the logistics. Proofread your quote. Ensure to correct erroneous grammars and incorrect sentence constructions. And lastly, stay true to your obligations. 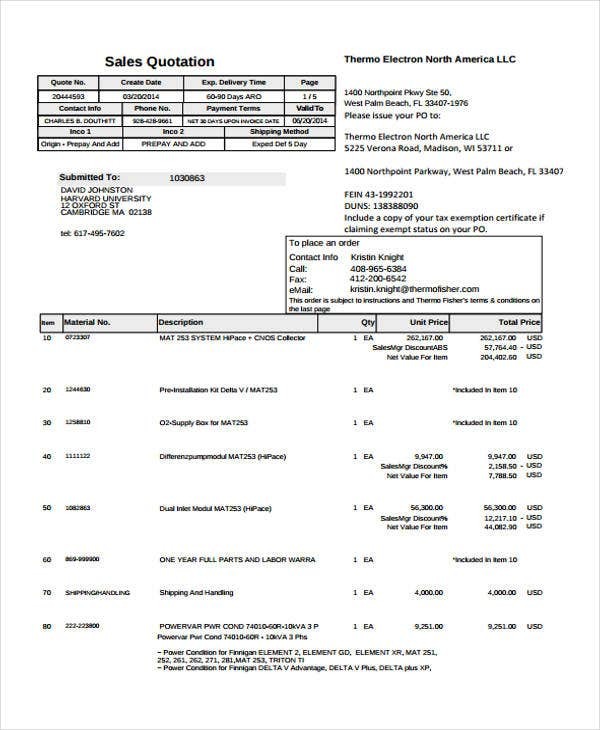 Quotes are commercial and legal documents and thus binding to the parties.